Winterthur/Kaiseraugst/Uzwil, September 4, 2018 – The Swiss Green Economy Symposium (SGES) this year presented its first SDG Award to Africa Improved Foods (AIF). AIF Rwanda is a joint-venture between the Government of Rwanda and a consortium of Royal DSM, Dutch development bank (FMO), DFID Impact Acceleration Facility managed by CDC Group plc and International Finance Corporation (IFC), the private sector arm of the World Bank Group. It is the leading manufacturer of high quality and nutritious complementary foods in Rwanda. DSM as the initiator and main shareholder thus contributes to creating a more sustainable food industry. This is also a goal of Bühler, which supplied the factory, the process technology, and the knowhow to Africa Improved Foods. 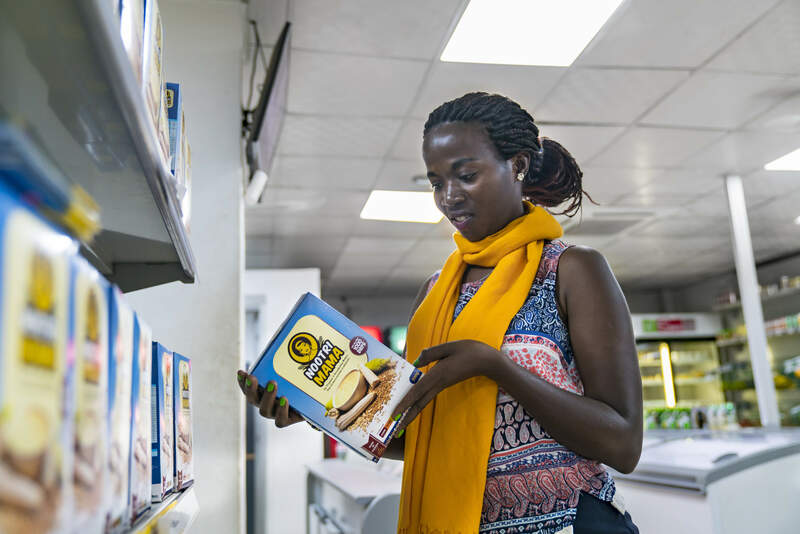 Africa Improved Foods (AIF) applies a new approach to fight malnutrition in Africa, promoting local production by directly buying farmers’ yields of maize and soy against cash at competitive prices. While the company has become largely known for its world class nutrition products including the commercial brands Nootri Mama, Nootri Toto and the latest Nootri Family (for all age groups), AIF mainly continues to produce porridge ﬂours (with added milk, vitamins and minerals) targeting vulnerable population segments such as pregnant and breast-feeding mothers, older infants and young children for the critical ﬁrst 1,000 days of their lives. “We were impressed by the way in which Africa Improved Foods combines its social commitment with the successful networking of public and private players,” says Dr. Anne le Duc, CEO of SGES, upon announcing the first award-winner. 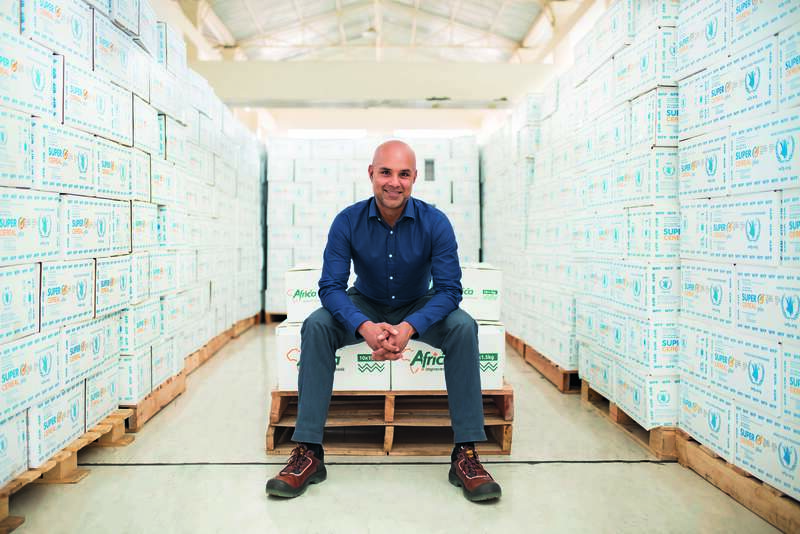 “With our economic development model, we can make a strong and sustainable social impact on our entire environment, and this in a sustainable way,” says Amar Ali, CEO of Africa Improved Foods. On May 31, 2017, AIF opened its state-of-the-art facility in the Rwandan capital city of Kigali, where it produces an annual output of 45,000 tonnes of fortified blended foods. Its first two products are porridge flours with added milk powder, vitamins, and minerals. The factory employs over 300 staff and also offers 24,000 Rwandan farmers a stable, sustainable income for a proportion of their harvest. 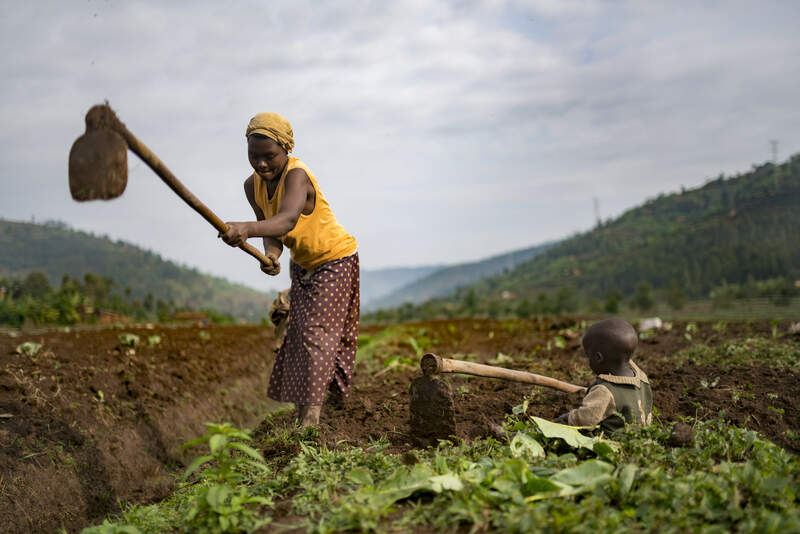 The factory recently celebrated its first anniversary and will soon have the capacity to feed 2 million people and be able to reduce stunting in Rwanda from 38% to 32% by 2020 – a 6% reduction – bringing hope to tens of thousands of children. The history of DSM is one of transformations and anticipating a changing society. As a purpose-led and science-based company active in Nutrition, Health and Sustainable Living, it continues to work on innovation that addresses the needs of customers and key societal challenges: Nutrition & Health, Climate & Energy and Resources & Circularity. 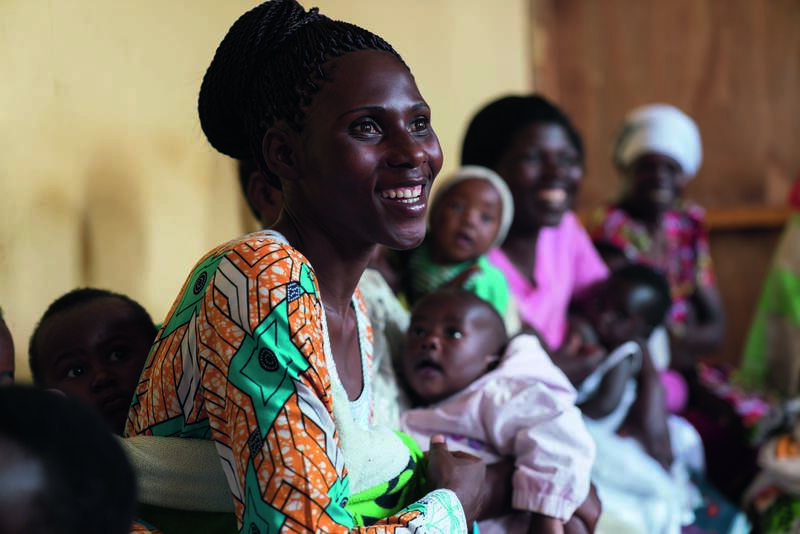 In 2015, DSM and Africa Improved Foods Ltd. (AIF), a consortium initiated by the Clinton Health Access Initiative including DSM, agreed to invest in a factory to be built in Kigali, Rwanda, to produce fortified foods to fight malnutrition aimed at children (6-24 months), pregnant and breast-feeding mothers. The unique business model of AIF, focused on local resources, local production and local high quality products, accelerates the transformation of African agriculture, with Africa feeding itself and sustainably contributing to the SDG of Zero Hunger as well as sustainable consumption and production. “The great thing about this model is that it engages the wider community in the process of creating these impacts – which not only makes it progressive but also sustainable in the long run,” comments Nelleke Barning, Global Director Communications & External Affairs Nutrition, who received the Award on behalf of DSM and AIF. Bühler has been collaborating for years with DSM and has developed, built, and started up the factory and production processes of Africa Improved Foods. The public-private joint venture officially opened the 60-million-franc facility in May 2017, but has been producing enriched grain flakes since the end of 2016. “We chose Bühler because we wanted a reputable company that knows how to build in Africa and quite generally under adverse conditions without compromising on quality and that will be with us through all the challenges,” says CEO Amar Ali. 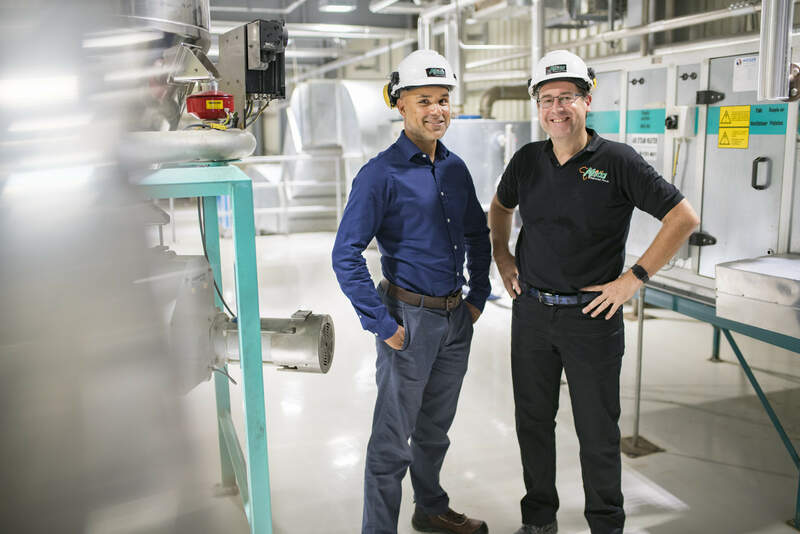 “There have been many challenges, and Bühler has been there as a partner throughout.” He says it was not easy to find people to run the plant. “Bühler also supported us in this respect, training our people on their equipment in Nairobi,” explains Amar Ali. 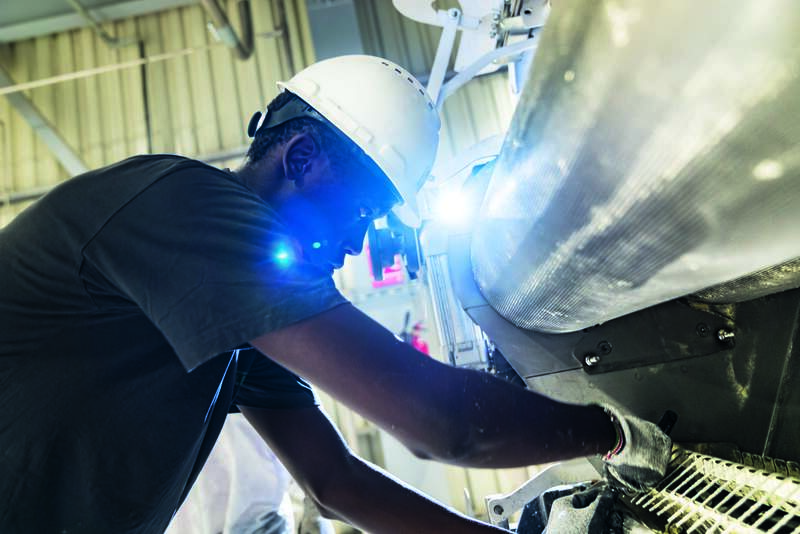 Bühler operates the African Milling School in the Kenyan capital of Nairobi, which offers grain milling training courses ranging from the apprenticeship level up to a master miller’s degree. 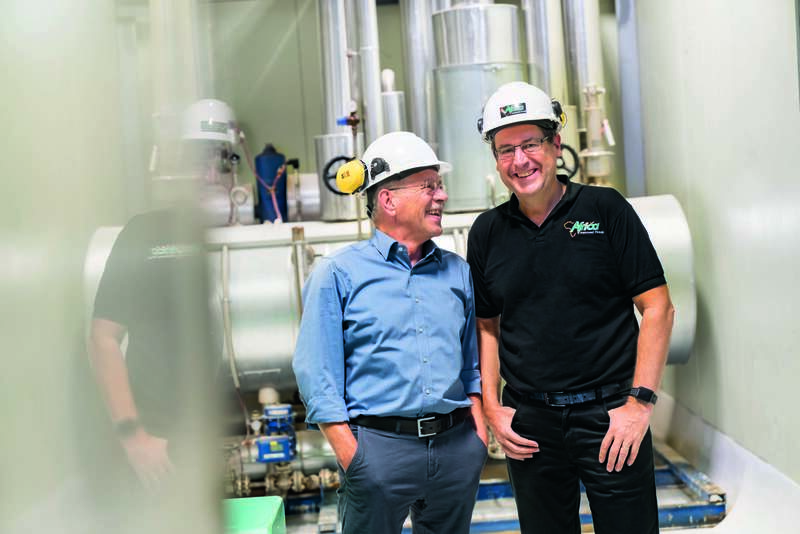 “It is only thanks to our strong presence in Africa that we were able to firmly establish our technology and knowhow at the local level – in the region, for the region,” says Theodor Sutter, who in his capacity as key account manager has coached Africa Improved Foods throughout its development from its beginnings to today. 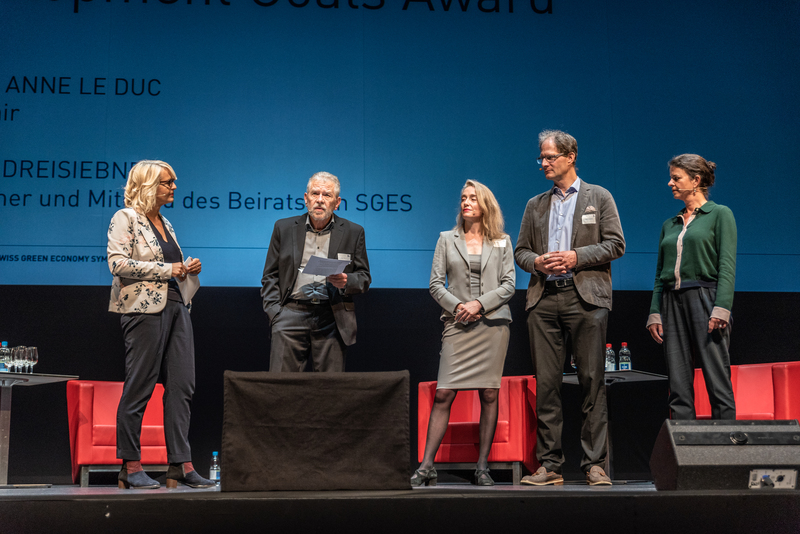 The Swiss Green Economy Symposium (SGES), Switzerland’s most comprehensive economic summit for sustainability, distinguishes projects commited in an exemplary way to implementing the United Nations’ sustainability goals while integrating local knowhow with the expertise of global players. 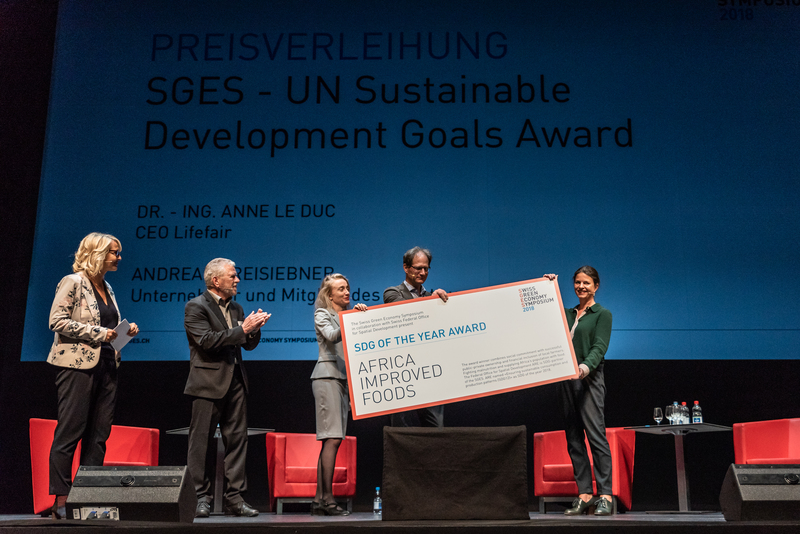 The partner of the Award is the Swiss Federal Office for Spatial Development ARE, which defines a sustainability goal of the United Nations as “SDG of the Year” for the Award. This year it was SDG 12 – “Sustainable Consumption” – where Africa Improved Foods presented the most convincing concept: a cooperation venture between the government of Rwanda, a consortium of various banks, and the International Finance Corporation (IFC), which is part of the World Bank Group. The majority shareholder and initiator is DSM, with Bühler supplying the process technology and the knowhow. 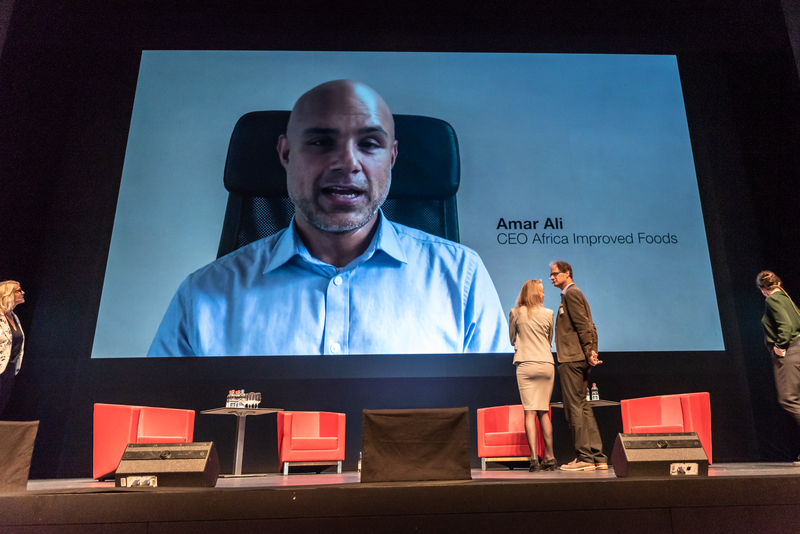 Along with the Award, Africa Improved Foods also received prize money of 4,000 Swiss francs, which Amar Ali donates to a local convent in one of the poorest areas in Kigali that looks after about 2,000 orphans, providing them with education and food.